Today, there’s a perception that external recruiters may have lost their value. That’s due to the increased use of social media, job boards, blogs, big data, and website postings as well as a more networked population and enhanced internal recruiting teams. However, that perception is wrong – external recruiters are in fact more more valuable than ever. Right now, internal recruiters are facing some big challenges, including increased competition for talent and the greater demand for a flexible workforce (temporaries and contractors), lack of of top talent, retiring baby boomers, and limited time, people and money. External recruiters have the luxury and time to build relationships with highly qualified passive candidates. Their goal is to build their network of top talent daily, in anticipation of requisitions they will obtain in the future. Most staffing and recruiting firms have lucrative internal referral programs, which also helps attract more top talent. In addition, candidates often prefer the options provided by external recruiters who can present opportunities with many different companies, vs. an in-house recruiter who represents one employer. They often depend on external recruiters to be their eyes and ears in the job market and call with appropriate opportunities that offer what is most important to them in their next career move. At a recent talent acquisition professionals conference where I spoke, most in-house recruiters were balancing 30+ open job requisitions. They were also faced with the additional challenges of limited time, people and budget. External recruiters can help relieve in-house recruiters because they focus on a much lower number of requisitions and have the ability to dedicate often 100+ hours to each search effort. even better, they can focus on hard to fill requisitions, allowing in-house recruiters to focus and fill a higher number of less difficult requisitions. That means you can have faster results and save time and money. External recruiters who specialize in a niche can function as a trusted advisor due to their knowledge and insight into their area of specialization. Most external recruiters specialize in a limited number of job titles and build pipelines of individuals with hard to find skills, in advance of obtaining requisitions. They develop long-term rapport and trust with their candidates. Share candidates career expectations and hot buttons. Provide compensation and benefit information to candidates. Only present candidates that are very interested. verify reference checks and credentials. Fill difficult requisitions are faster. Proactively present candidates who represent your “hardest to fill” positions as they surface. The ability to identify, attract and retain top talent will continue to be a challenge in this very competitive job market. That’s why it’s more important than ever to identify and partner with the right external recruiters. Find external recruiters that specialize in the areas of your greatest needs allow them to start proactively recruiting your hardest to fill positions to making your recruiting strategy even more effective. 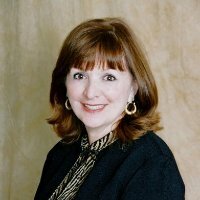 Barb Bruno, CPC, CTS is founder and CEO of Good as Gold Training, Inc. a company dedicated to elevating the success of recruiters worldwide. Her NO BS Newsletter is the most widely read online publications, which provides FREE training on hot topics that impact recruiting. She speaks at 25+ conferences per year and also developed a Career Portal to improve the experience of all candidates. She is recognized internationally as one of the top experts in the staffing and recruiting profession.